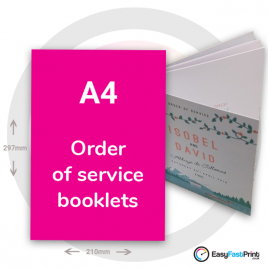 Order of Service Booklet Printing. 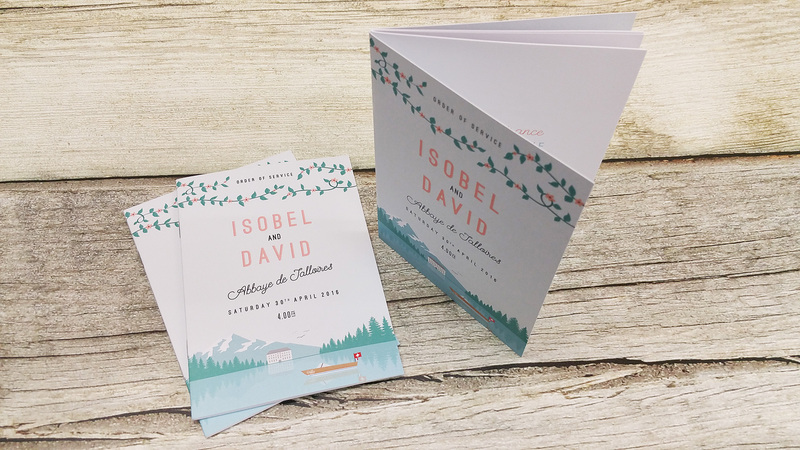 Printed on the highest quality uncoated paper, our order of service printing will create the best impression on the big day, if it's a wedding or saying goodbye to a loved one, create something unique that everyone will remember of that special day. We also check your artwork for free and produce a print ready pdf for you to look over before you commit to the print run. 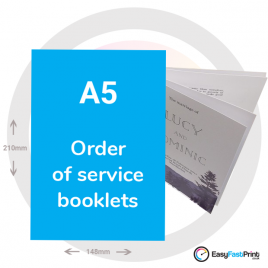 With our fast turnaround times and very competitive prices, with free delivery, you'll have confidence that we can produce the order of service booklet that your special day requires. We have you covered from the moment you place the order to when its delivered, so why not choose one of the 3 paper sizes below and let's get started.